older brother’s jack & jack bathroom, only in a navy color. Your vanities are beautiful. I would never have considered navy. Brilliant idea. Thanks for sharing. I love it! Did you need to sand or use a special primer? They do like furniture! We painted one of ours but didn't do all of the techniques you did. 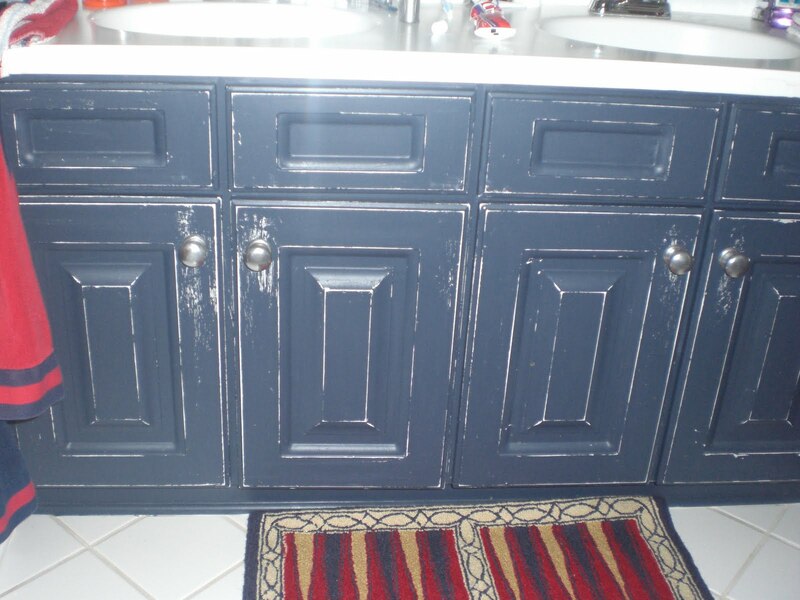 Ours looks better painted but now looks like a painted bathroom cabinet. I may have to give it more thought after seeing yours! What a great look, and so much more interesting to look at than "stock" cabinets. Very creative! 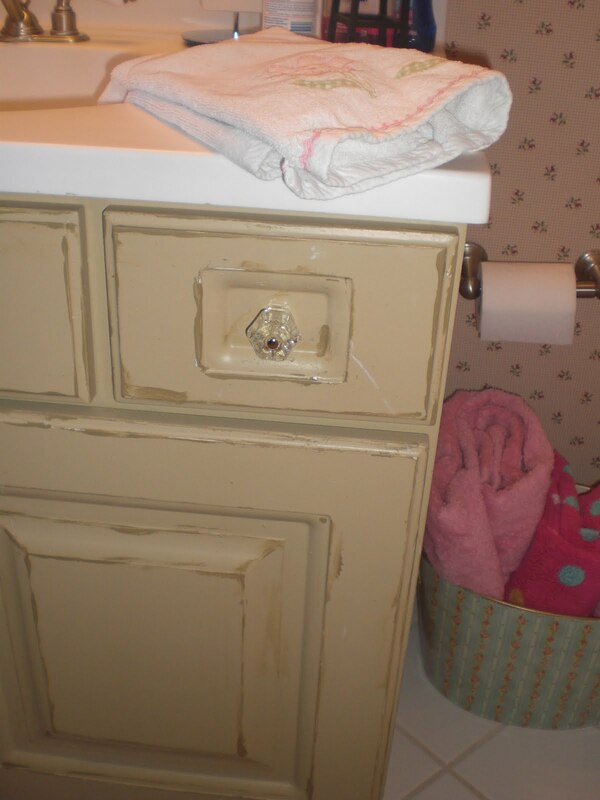 Oh, I sooo need to do this with my ugly bathroom cabinets! 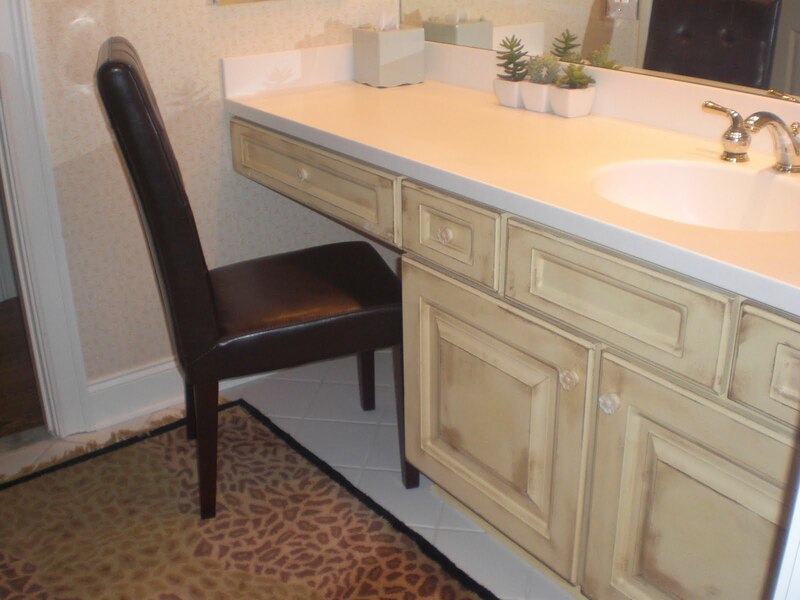 I love the look of the guest bathroom vanity. 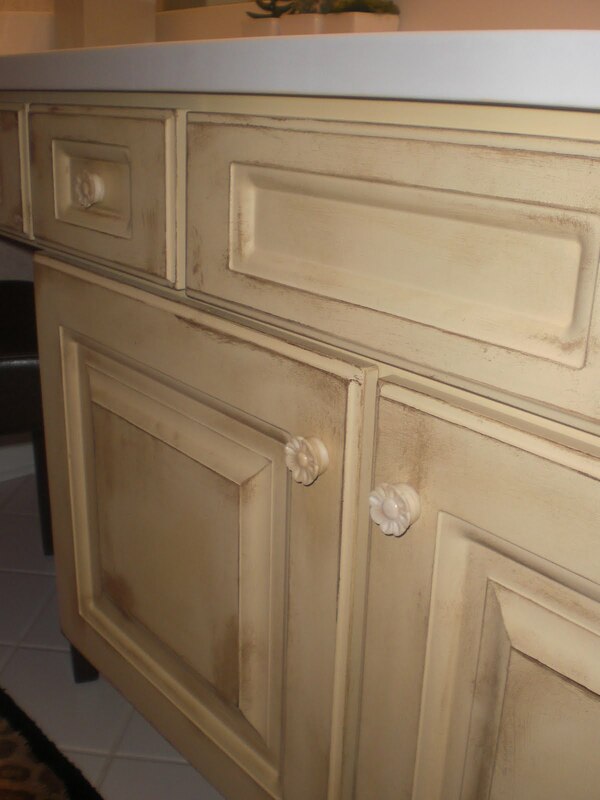 I am in the planning stages of painting my kitchen cabinets and that finish is just what I had in mind. 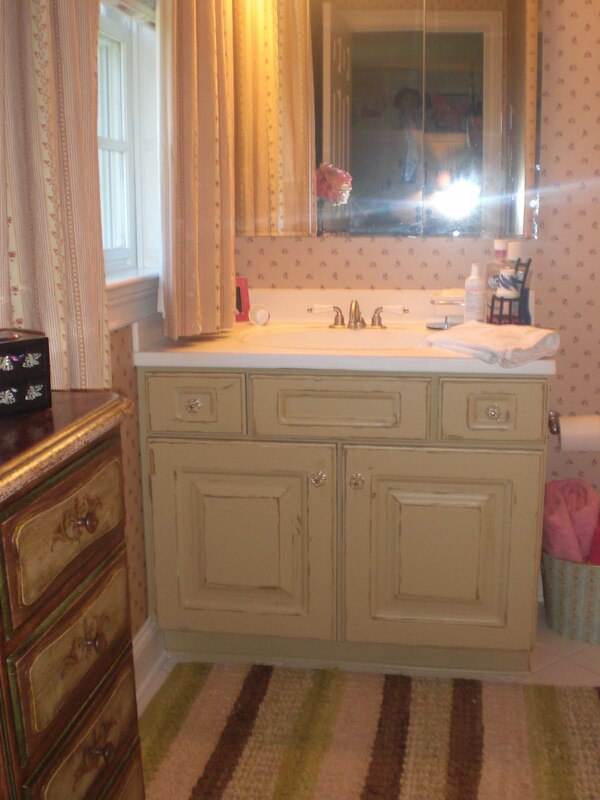 Great job on these vanities. 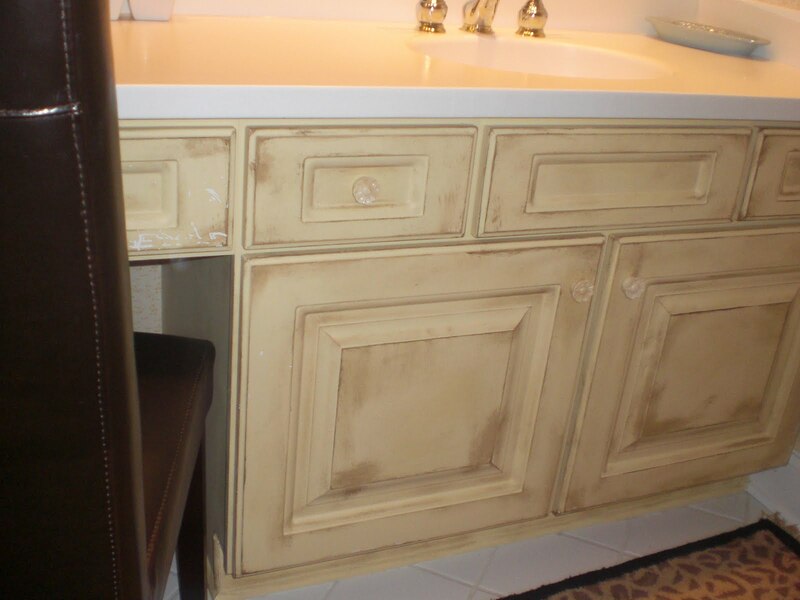 I'm getting ready to redo my bathroom and my vanity is salvaged plywood built to fit the space… I want to add to it and give it some character… these photos have given me some ideas. Thanks! they look GREAT! can you tell us the steps used to get the melamine to look like this?? they all look fabulous! and i would love to do this in my own home! beautiful! Denise, What are the steps to get the melamie cabinets to look so fabu can u share?